Alexander Grothendieck (/ˈɡroʊtəndiːk/; German: [ˈɡroːtn̩diːk]; French: [ɡʁɔtɛndik]; 28 March 1928 – 13 November 2014) was a French mathematician who became the leading figure in the creation of modern algebraic geometry. His research extended the scope of the field and added elements of commutative algebra, homological algebra, sheaf theory and category theory to its foundations, while his so-called "relative" perspective led to revolutionary advances in many areas of pure mathematics. He is considered by many to be the greatest mathematician of the 20th century. Born in Germany, Grothendieck was raised and lived primarily in France. For much of his working life, however, he was, in effect, stateless. As he consistently spelled his first name "Alexander" rather than "Alexandre" and his surname, taken from his mother, was the Dutch-like Low German "Grothendieck", he was sometimes mistakenly believed to be of Dutch origin. Grothendieck began his productive and public career as a mathematician in 1949. In 1958, he was appointed a research professor at the Institut des hautes études scientifiques (IHÉS) and remained there until 1970, when, driven by personal and political convictions, he left following a dispute over military funding. He later became professor at the University of Montpellier and, while still producing relevant mathematical work, he withdrew from the mathematical community and devoted himself to political causes. Soon after his formal retirement in 1988, he moved to the Pyrenees, where he lived in isolation until his death in 2014. Grothendieck was born in Berlin to anarchist parents. His father, Alexander "Sascha" Schapiro (also known as Alexander Tanaroff), had Hasidic Jewish roots and had been imprisoned in Russia before moving to Germany in 1922, while his mother, Johanna "Hanka" Grothendieck, came from a Protestant family in Hamburg and worked as a journalist. Both had broken away from their early backgrounds in their teens. At the time of his birth, Grothendieck's mother was married to the journalist Johannes Raddatz and his birthname was initially recorded as "Alexander Raddatz." The marriage was dissolved in 1929 and Schapiro/Tanaroff acknowledged his paternity, but never married Hanka. Grothendieck lived with his parents in Berlin until the end of 1933, when his father moved to Paris to evade Nazism, followed soon thereafter by his mother. They left Grothendieck in the care of Wilhelm Heydorn, a Lutheran pastor and teacher in Hamburg. During this time, his parents took part in the Spanish Civil War, according to Winfried Scharlau [de], as non-combatant auxiliaries, though others state that Sascha fought in the anarchist militia. In May 1939, Grothendieck was put on a train in Hamburg for France. Shortly afterwards his father was interned in Le Vernet. He and his mother were then interned in various camps from 1940 to 1942 as "undesirable dangerous foreigners". The first was the Rieucros Camp, where his mother contracted the tuberculosis which eventually caused her death and where Alexander managed to attend the local school, at Mende. Once Alexander managed to escape from the camp, intending to assassinate Hitler. Later, his mother Hanka was transferred to the Gurs internment camp for the remainder of World War II. Alexander was permitted to live, separated from his mother, in the village of Le Chambon-sur-Lignon, sheltered and hidden in local boarding houses or pensions, though he occasionally had to seek refuge in the woods during Nazis raids, surviving at times without food or water for several days. His father was arrested under the Vichy anti-Jewish legislation, and sent to the Drancy, and then handed over by the French Vichy government to the Germans to be sent to be murdered at the Auschwitz concentration camp in 1942. In Chambon, Grothendieck attended the Collège Cévenol (now known as the Le Collège-Lycée Cévenol International), a unique secondary school founded in 1938 by local Protestant pacifists and anti-war activists. Many of the refugee children hidden in Chambon attended Cévenol, and it was at this school that Grothendieck apparently first became fascinated with mathematics. After the war, the young Grothendieck studied mathematics in France, initially at the University of Montpellier where he did not initially perform well, failing such classes as astronomy. Working on his own, he rediscovered the Lebesgue measure. After three years of increasingly independent studies there, he went to continue his studies in Paris in 1948. Initially, Grothendieck attended Henri Cartan's Seminar at École Normale Supérieure, but he lacked the necessary background to follow the high-powered seminar. On the advice of Cartan and André Weil, he moved to the University of Nancy where he wrote his dissertation under Laurent Schwartz and Jean Dieudonné on functional analysis, from 1950 to 1953. At this time he was a leading expert in the theory of topological vector spaces. From 1953 to 1955 he moved to the University of São Paulo in Brazil, where he immigrated by means of a Nansen passport, given that he refused to take French Nationality. By 1957, he set this subject aside in order to work in algebraic geometry and homological algebra. The same year he was invited to visit Harvard by Oscar Zariski, but the offer fell through when he refused to sign a pledge promising not to work to overthrow the United States government, a position that, he was warned, might have landed him in prison. The prospect did not worry him, as long as he could have access to books. In 1958 Grothendieck was installed at the Institut des hautes études scientifiques (IHÉS), a new privately funded research institute that, in effect, had been created for Jean Dieudonné and Grothendieck. Grothendieck attracted attention by an intense and highly productive activity of seminars there (de facto working groups drafting into foundational work some of the ablest French and other mathematicians of the younger generation). Grothendieck himself practically ceased publication of papers through the conventional, learned journal route. He was, however, able to play a dominant role in mathematics for around a decade, gathering a strong school. During this time, he had officially as students Michel Demazure (who worked on SGA3, on group schemes), Luc Illusie (cotangent complex), Michel Raynaud, Jean-Louis Verdier (cofounder of the derived category theory) and Pierre Deligne. Collaborators on the SGA projects also included Michael Artin (étale cohomology) and Nick Katz (monodromy theory and Lefschetz pencils). Jean Giraud worked out torsor theory extensions of nonabelian cohomology. Many others were involved. Alexander Grothendieck's work during the "Golden Age" period at the IHÉS established several unifying themes in algebraic geometry, number theory, topology, category theory and complex analysis. His first (pre-IHÉS) discovery in algebraic geometry was the Grothendieck–Hirzebruch–Riemann–Roch theorem, a generalisation of the Hirzebruch–Riemann–Roch theorem proved algebraically; in this context he also introduced K-theory. Then, following the programme he outlined in his talk at the 1958 International Congress of Mathematicians, he introduced the theory of schemes, developing it in detail in his Éléments de géométrie algébrique (EGA) and providing the new more flexible and general foundations for algebraic geometry that has been adopted in the field since that time. He went on to introduce the étale cohomology theory of schemes, providing the key tools for proving the Weil conjectures, as well as crystalline cohomology and algebraic de Rham cohomology to complement it. Closely linked to these cohomology theories, he originated topos theory as a generalisation of topology (relevant also in categorical logic). He also provided an algebraic definition of fundamental groups of schemes and more generally the main structures of a categorical Galois theory. As a framework for his coherent duality theory he also introduced derived categories, which were further developed by Verdier. The results of work on these and other topics were published in the EGA and in less polished form in the notes of the Séminaire de géométrie algébrique (SGA) that he directed at the IHÉS. 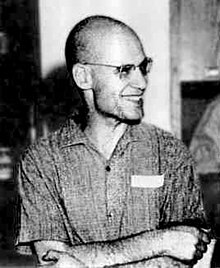 Grothendieck's political views were radical and pacifist, and he strongly opposed both United States intervention in Vietnam and Soviet military expansionism. He gave lectures on category theory in the forests surrounding Hanoi while the city was being bombed, to protest against the Vietnam War. He retired from scientific life around 1970, having found out that IHÉS was partly funded by the military. He returned to academia a few years later as a professor at the University of Montpellier. While the issue of military funding was perhaps the most obvious explanation for Grothendieck's departure from the IHÉS, those who knew him say that the causes of the rupture ran deeper. Pierre Cartier, a visiteur de longue durée ("long-term guest") at the IHÉS, wrote a piece about Grothendieck for a special volume published on the occasion of the IHÉS's fortieth anniversary. The Grothendieck Festschrift, published in 1990, was a three-volume collection of research papers to mark his sixtieth birthday in 1988. In it, Cartier notes that as the son of an antimilitary anarchist and one who grew up among the disenfranchised, Grothendieck always had a deep compassion for the poor and the downtrodden. As Cartier puts it, Grothendieck came to find Bures-sur-Yvette "une cage dorée" ("a gilded cage"). While Grothendieck was at the IHÉS, opposition to the Vietnam War was heating up, and Cartier suggests that this also reinforced Grothendieck's distaste at having become a mandarin of the scientific world. In addition, after several years at the IHÉS, Grothendieck seemed to cast about for new intellectual interests. By the late 1960s, he had started to become interested in scientific areas outside mathematics. David Ruelle, a physicist who joined the IHÉS faculty in 1964, said that Grothendieck came to talk to him a few times about physics. [n 1] Biology interested Grothendieck much more than physics, and he organized some seminars on biological topics. In 1970, Grothendieck, with two other mathematicians, Claude Chevalley and Pierre Samuel, created a political group called Survivre—the name later changed to Survivre et vivre. The group published a bulletin and was dedicated to antimilitary and ecological issues, and also developed strong criticism of the indiscriminate use of science and technology. Grothendieck devoted the next three years to this group and served as the main editor of its bulletin. After leaving the IHÉS, Grothendieck became a temporary professor at Collège de France for two years. He then became a professor at the University of Montpellier, where he became increasingly estranged from the mathematical community. His mathematical career, for the most part, ended when he left the IHÉS. He formally retired in 1988, a few years after having accepted a research position at the CNRS. While not publishing mathematical research in conventional ways during the 1980s, he produced several influential manuscripts with limited distribution, with both mathematical and biographical content. Produced during 1980 and 1981, La Longue Marche à travers la théorie de Galois (The Long March Through Galois Theory) is a 1600-page handwritten manuscript containing many of the ideas that led to the Esquisse d'un programme. It also includes a study of Teichmüller theory. In 1983, stimulated by correspondence with Ronald Brown and Tim Porter at Bangor University, Grothendieck wrote a 600-page manuscript titled Pursuing Stacks, starting with a letter addressed to Daniel Quillen. This letter and successive parts were distributed from Bangor (see External links below). Within these, in an informal, diary-like manner, Grothendieck explained and developed his ideas on the relationship between algebraic homotopy theory and algebraic geometry and prospects for a noncommutative theory of stacks. The manuscript, which is being edited for publication by G. Maltsiniotis, later led to another of his monumental works, Les Dérivateurs. Written in 1991, this latter opus of about 2000 pages further developed the homotopical ideas begun in Pursuing Stacks. Much of this work anticipated the subsequent development of the motivic homotopy theory of Fabien Morel and V. Voevodsky in the mid-1990s. In 1984, Grothendieck wrote the proposal Esquisse d'un Programme ("Sketch of a Programme") for a position at the Centre National de la Recherche Scientifique (CNRS). It describes new ideas for studying the moduli space of complex curves. Although Grothendieck himself never published his work in this area, the proposal inspired other mathematicians' work by becoming the source of dessin d'enfant theory and Anabelian geometry. It was later published in the two-volume Geometric Galois Actions (Cambridge University Press, 1997). During this period, Grothendieck also gave his consent to publishing some of his drafts for EGA on Bertini-type theorems (EGA V, published in Ulam Quarterly in 1992-1993 and later made available on the Grothendieck Circle web site in 2004). In the 1,000-page autobiographical manuscript Récoltes et semailles (1986) Grothendieck describes his approach to mathematics and his experiences in the mathematical community, a community that initially accepted him in an open and welcoming manner but which he progressively perceived to be governed by competition and status. He complains about what he saw as the "burial" of his work and betrayal by his former students and colleagues after he had left the community. Récoltes et semailles work is now available on the internet in the French original, and an English translation is underway. Parts of Récoltes et semailles have been translated into Spanish and into Russian and published in Moscow. In 1988 Grothendieck declined the Crafoord Prize with an open letter to the media. He wrote that established mathematicians like himself had no need for additional financial support and criticized what he saw as the declining ethics of the scientific community, characterized by outright scientific theft that, according to him, had become commonplace and tolerated. The letter also expressed his belief that totally unforeseen events before the end of the century would lead to an unprecedented collapse of civilization. Grothendieck added however that his views are "in no way meant as a criticism of the Royal Academy's aims in the administration of its funds" and added "I regret the inconvenience that my refusal to accept the Crafoord prize may have caused you and the Royal Academy." La Clef des Songes, a 315-page manuscript written in 1987, is Grothendieck's account of how his consideration of the source of dreams led him to conclude that God exists. As part of the notes to this manuscript, Grothendieck described the life and work of 18 "mutants", people whom he admired as visionaries far ahead of their time and heralding a new age. The only mathematician on his list was Bernhard Riemann. Influenced by the Catholic mystic Marthe Robin who was claimed to survive on the Holy Eucharist alone, Grothendieck almost starved himself to death in 1988. His growing preoccupation with spiritual matters was also evident in a letter titled Lettre de la Bonne Nouvelle sent to 250 friends in January 1990. In it, he described his encounters with a deity and announced that a "New Age" would commence on 14 October 1996. Over 20,000 pages of Grothendieck's mathematical and other writings, held at the University of Montpellier, remain unpublished. They have been digitized for preservation and are freely available in open access through the Institut Montpelliérain Alexander Grothendieck portal. In 1991, Grothendieck moved to a new address which he did not provide to his previous contacts in the mathematical community. Very few people visited him afterward. Local villagers helped sustain him with a more varied diet after he tried to live on a staple of dandelion soup. After his death, it was revealed that he lived alone in a house in Lasserre, Ariège, a small village at the foot of the Pyrenees. In January 2010, Grothendieck wrote the letter "Déclaration d'intention de non-publication" to Luc Illusie, claiming that all materials published in his absence have been published without his permission. He asks that none of his work be reproduced in whole or in part and that copies of this work be removed from libraries. A website devoted to his work was called "an abomination." This order may have been reversed later in 2010. On 13 November 2014, aged 86, Grothendieck died in the hospital of Saint-Girons, Ariège. Grothendieck was born in Weimar Germany. In 1938, aged ten, he moved to France as a refugee. Records of his nationality were destroyed in the fall of Germany in 1945 and he did not apply for French citizenship after the war. He thus became a stateless person for at least the majority of his working life, traveling on a Nansen passport. Part of this reluctance to hold French nationality is attributed to not wishing to serve in the French military, particularly due to the Algerian War (1954–62). He eventually applied for French citizenship in the early 1980s, well past the age that exempted him from military service. Grothendieck was very close to his mother to whom he dedicated his dissertation. She died in 1957 from the tuberculosis that she contracted in camps for displaced persons. He had five children: a son with his landlady during his time in Nancy, three children, Johanna (1959), Alexander (1961) and Mathieu (1965) with his wife Mireille Dufour, and one child with Justine Skalba, with whom he lived in a commune in the early 1970s. Grothendieck's early mathematical work was in functional analysis. Between 1949 and 1953 he worked on his doctoral thesis in this subject at Nancy, supervised by Jean Dieudonné and Laurent Schwartz. His key contributions include topological tensor products of topological vector spaces, the theory of nuclear spaces as foundational for Schwartz distributions, and the application of Lp spaces in studying linear maps between topological vector spaces. In a few years, he had turned himself into a leading authority on this area of functional analysis—to the extent that Dieudonné compares his impact in this field to that of Banach. It is, however, in algebraic geometry and related fields where Grothendieck did his most important and influential work. From about 1955 he started to work on sheaf theory and homological algebra, producing the influential "Tôhoku paper" (Sur quelques points d'algèbre homologique, published in the Tohoku Mathematical Journal in 1957) where he introduced abelian categories and applied their theory to show that sheaf cohomology can be defined as certain derived functors in this context. Homological methods and sheaf theory had already been introduced in algebraic geometry by Jean-Pierre Serre and others, after sheaves had been defined by Jean Leray. Grothendieck took them to a higher level of abstraction and turned them into a key organising principle of his theory. He shifted attention from the study of individual varieties to the relative point of view (pairs of varieties related by a morphism), allowing a broad generalization of many classical theorems. The first major application was the relative version of Serre's theorem showing that the cohomology of a coherent sheaf on a complete variety is finite-dimensional; Grothendieck's theorem shows that the higher direct images of coherent sheaves under a proper map are coherent; this reduces to Serre's theorem over a one-point space. In 1956, he applied the same thinking to the Riemann–Roch theorem, which had already recently been generalized to any dimension by Hirzebruch. The Grothendieck–Riemann–Roch theorem was announced by Grothendieck at the initial Mathematische Arbeitstagung in Bonn, in 1957. It appeared in print in a paper written by Armand Borel with Serre. This result was his first work in algebraic geometry. He went on to plan and execute a programme for rebuilding the foundations of algebraic geometry, which were then in a state of flux and under discussion in Claude Chevalley's seminar; he outlined his programme in his talk at the 1958 International Congress of Mathematicians. His foundational work on algebraic geometry is at a higher level of abstraction than all prior versions. He adapted the use of non-closed generic points, which led to the theory of schemes. He also pioneered the systematic use of nilpotents. As 'functions' these can take only the value 0, but they carry infinitesimal information, in purely algebraic settings. His theory of schemes has become established as the best universal foundation for this field, because of its expressiveness as well as technical depth. In that setting one can use birational geometry, techniques from number theory, Galois theory and commutative algebra, and close analogues of the methods of algebraic topology, all in an integrated way. The bulk of Grothendieck's published work is collected in the monumental, yet incomplete, Éléments de géométrie algébrique (EGA) and Séminaire de géométrie algébrique (SGA). The collection Fondements de la Géometrie Algébrique (FGA), which gathers together talks given in the Séminaire Bourbaki, also contains important material. Grothendieck's work includes the invention of the étale and l-adic cohomology theories, which explain an observation of André Weil's that there is a connection between the topological characteristics of a variety and its diophantine (number theoretic) properties. For example, the number of solutions of an equation over a finite field reflects the topological nature of its solutions over the complex numbers. Weil realized that to prove such a connection one needed a new cohomology theory, but neither he nor any other expert saw how to do this until such a theory was found by Grothendieck. This program culminated in the proofs of the Weil conjectures, the last of which was settled by Grothendieck's student Pierre Deligne in the early 1970s after Grothendieck had largely withdrawn from mathematics. Topological tensor products and nuclear spaces. "Continuous" and "discrete" duality (derived categories, "six operations"). Yoga of the Grothendieck–Riemann–Roch theorem (K-theory, relation with intersection theory). Étale cohomology and l-adic cohomology. Motives and the motivic Galois group (Grothendieck ⊗-categories). "Topological algebra": ∞-stacks, derivators; cohomological formalism of topoi as inspiration for a new homotopical algebra. Yoga of anabelian algebraic geometry, Galois–Teichmüller theory. "Schematic" or "arithmetic" point of view for regular polyhedra and regular configurations of all kinds. Here the term yoga denotes a kind of "meta-theory" that can be used heuristically; Michel Raynaud writes the other terms "Ariadne's thread" and "philosophy" as effective equivalents. Grothendieck wrote that, of these themes, the largest in scope was topoi, as they synthesized algebraic geometry, topology, and arithmetic. The theme that had been most extensively developed was schemes, which were the framework "par excellence" for eight of the other themes (all but 1, 5, and 12). Grothendieck wrote that the first and last themes, topological tensor products and regular configurations, were of more modest size than the others. Topological tensor products had played the role of a tool rather than a source of inspiration for further developments; but he expected that regular configurations could not be exhausted within the lifetime of a mathematician who devoted himself to it. He believed that the deepest themes were motives, anabelian geometry, and Galois–Teichmüller theory. Although mathematics became more and more abstract and general throughout the 20th century, it was Alexander Grothendieck who was the greatest master of this trend. His unique skill was to eliminate all unnecessary hypotheses and burrow into an area so deeply that its inner patterns on the most abstract level revealed themselves–and then, like a magician, show how the solution of old problems fell out in straightforward ways now that their real nature had been revealed. By the 1970s, Grothendieck's work was seen as influential not only in algebraic geometry, and the allied fields of sheaf theory and homological algebra, but influenced logic, in the field of categorical logic. Grothendieck approached algebraic geometry by clarifying the foundations of the field, and by developing mathematical tools intended to prove a number of notable conjectures. Algebraic geometry has traditionally meant the understanding of geometric objects, such as algebraic curves and surfaces, through the study of the algebraic equations for those objects. Properties of algebraic equations are in turn studied using the techniques of ring theory. In this approach, the properties of a geometric object are related to the properties of an associated ring. The space (e.g., real, complex, or projective) in which the object is defined is extrinsic to the object, while the ring is intrinsic. Grothendieck laid a new foundation for algebraic geometry by making intrinsic spaces ("spectra") and associated rings the primary objects of study. To that end he developed the theory of schemes, which can be informally thought of as topological spaces on which a commutative ring is associated to every open subset of the space. Schemes have become the basic objects of study for practitioners of modern algebraic geometry. Their use as a foundation allowed geometry to absorb technical advances from other fields. His generalization of the classical Riemann-Roch theorem related topological properties of complex algebraic curves to their algebraic structure. The tools he developed to prove this theorem started the study of algebraic and topological K-theory, which study the topological properties of objects by associating them with rings. Topological K-theory was founded by Michael Atiyah, after direct contact with Grothendieck's ideas at the Bonn Arbeitstagung. Grothendieck's construction of new cohomology theories, which use algebraic techniques to study topological objects, has influenced the development of algebraic number theory, algebraic topology, and representation theory. As part of this project, his creation of topos theory, a category-theoretic generalization of point-set topology, has influenced the fields of set theory and mathematical logic. The Weil conjectures were formulated in the later 1940s as a set of mathematical problems in arithmetic geometry. They describe properties of analytic invariants, called local zeta functions, of the number of points on an algebraic curve or variety of higher dimension. Grothendieck's discovery of the ℓ-adic étale cohomology, the first example of a Weil cohomology theory, opened the way for a proof of the Weil conjectures, ultimately completed in the 1970s by his student Pierre Deligne. Grothendieck's large-scale approach has been called a "visionary program." The ℓ-adic cohomology then became a fundamental tool for number theorists, with applications to the Langlands program. Grothendieck's conjectural theory of motives was intended to be the "ℓ-adic" theory but without the choice of "ℓ", a prime number. It did not provide the intended route to the Weil conjectures, but has been behind modern developments in algebraic K-theory, motivic homotopy theory, and motivic integration. This theory, Daniel Quillen's work, and Grothendieck's theory of Chern classes, are considered the background to the theory of algebraic cobordism, another algebraic analogue of topological ideas. Grothendieck's emphasis on the role of universal properties across varied mathematical structures brought category theory into the mainstream as an organizing principle for mathematics in general. Among its uses, category theory creates a common language for describing similar structures and techniques seen in many different mathematical systems. His notion of abelian category is now the basic object of study in homological algebra. The emergence of a separate mathematical discipline of category theory has been attributed to Grothendieck's influence, though unintentional. The novel Colonel Lágrimas (Colonel Tears in English, available by Restless Books) by Puerto Rican - Costa Rican writer Carlos Fonseca is a semibiographic novel about Grothendieck. ^ Ruelle invented the concept of a strange attractor in a dynamical system and, with the Dutch mathematician Floris Takens, produced a new model for turbulence during the 1970s. ^ a b c Cartier 2004, p. 10, footnote 12. ^ a b c Kleinert 2007. ^ a b Douroux 2012. ^ a b c d e f g h Scharlau 2008. ^ Pierre Cartier; Luc Illusie; Nicholas M. Katz, eds. (2006). The Grothendieck Festschrift, Volume I: A Collection of Articles Written in Honor of the 60th Birthday of Alexander Grothendieck. Springer. p. 7. ISBN 978-0-8176-4566-3. ^ a b c Bruce Weber; Julie Rehmeyer (14 November 2014). "Alexander Grothendieck, Math Enigma, Dies at 86". The New York Times. ^ Mumford, David; Tate, John (2015). "Alexander Grothendieck (1928–2014) Mathematician who rebuilt algebraic geometry". Nature. 517 (7534): 272–272. Bibcode:2015Natur.517..272M. doi:10.1038/517272a. ISSN 0028-0836. ^ Cartier 2004, p. 9. ^ Cartier 2001, p. 391, footnote 3. ^ a b "The Early Background of Genius". Archived from the original on 15 June 2011. Retrieved 15 June 2011. ^ Reuben Hersh, Vera John-Steiner, Loving and Hating Mathematics: Challenging the Myths of Mathematical Life, Princeton University Press, 2011 p.109. ^ a b c d Amir D. Aczel,The Artist and the Mathematician, Basic Books, 2009 pp.8ff.pp.8-15. ^ Piotr Pragacz, 'Notes on the Life and Work of Alexander Grothendieck,' in Piotr Pragacz (ed. ), Topics in Cohomological Studies of Algebraic Varieties: Impanga Lecture Notes, Springer Science & Business Media, 2006 pp-xi-xxviii p.xii. ^ a b Luca Barbieri Viale, 'Alexander Grothendieck:entusiasmo e creatività,' in C. Bartocci, R. Betti, A. Guerraggio, R. Lucchetti (eds.,) Vite matematiche: Protagonisti del '900, da Hilbert a Wiles, Springer Science & Business Media, 2007 pp.237-249 p.237. ^ David Ruelle, The Mathematician's Brain, Princeton University Press, 2007 p.35. ^ a b "Alexandre Grothendieck, ou la mort d'un génie qui voulait se faire oublier". Libération Sciences (in French). 13 November 2014. Retrieved 14 November 2014. ^ a b c Pierre Cartier; Luc Illusie; Nicholas M. Katz; Gérard Laumon; Yuri I. Manin (2007). "Foreword". The Grothendieck Festschrift, Volume I: A Collection of Articles Written in Honor of the 60th Birthday of Alexander Grothendieck. ^ "Book Reviews : Topological vector spaces, by A. Grothendieck" (PDF). Bulletin of the American Mathematical Society (4). July 1976. doi:10.1090/S0002-9904-1976-14076-1. ^ Reuben Hersh, Vera John-Steiner, Loving and Hating Mathematics: Challenging the Myths of Mathematical Life, Princeton University Press, 2011 p.113. ^ a b c d e Cartier 2004. ^ a b Amir D. Aczel (2009). The Artist and the Mathematician. Basic Books. ^ Joseph Lipman (2009). "Notes on derived categories and Grothendieck duality". Foundations of Grothendieck Duality for Diagrams of Schemes (PDF). Lecture Notes in Math., no. 1960. New York: Springer-Verlag. ^ The Life and Work of Alexander Grothendieck, American Mathematical Monthly, vol. 113, no. 9, footnote 6. ^ The editors were Pierre Cartier, Luc Illusie, Nick Katz, Gérard Laumon, Yuri Manin, and Ken Ribet. A second edition has been printed (2007) by Birkhauser. ^ Allyn Jackson, The IHÉS at Forty, Notices of the AMS, March 1999, pp. 329–337. ^ a b c d e f Pragacz 2005. ^ "Récoltes et Semailles; La Clef des Songes" (in Spanish). ^ "Free books: Récoltes et semailles". www.mccme.ru. Retrieved 12 September 2017. ^ Scharlau 2008, p. 940. ^ Scharlau, Winfried. "Who Is Alexander Grothendieck?" (PDF). Notices of the AMS. 55: 930–941. ^ John Derbyshire, Unknown Quantity: A Real and Imaginary History of Algebra, National Academies Press, 2006 p.314. ^ Stéphane Foucart; Philippe Pajot (14 November 2014). "Alexandre Grothendieck, le plus grand mathématicien du XXe siècle, est mort". Le Monde. ^ "Grothendieck's letter". Secret Blogging Seminar. 9 February 2010. Retrieved 12 September 2017. ^ See, for example, (Deligne 1998). ^ Mclarty, Colin. "The Rising Sea: Grothendieck on simplicity and generality I" (PDF). Retrieved 13 January 2008. ^ Leith, Sam (20 March 2004), "The Einstein of maths", The Spectator, [A] mathematician of staggering accomplishment ... a legendary figure in the mathematical world. ^ Grothendieck 1986, p. 21. ^ Grothendieck 1986, p. 22. ^ a b Saunders Mac Lane; Ieke Moerdijk (1992). Sheaves in Geometry and Logic: a First Introduction to Topos Theory. Springer-Verlag New York Inc. ISBN 0-387-97710-4. ^ Dov M. Gabbay; Akihiro Kanamori; John Woods, Jr. (2012). Sets and Extensions in the Twentieth Century. Elsevier. p. 733. ISBN 978-0-444-51621-3. ^ Miles Reid (15 December 1988). Undergraduate Algebraic Geometry. Cambridge University Press. p. 115. ISBN 978-0-521-35662-6. ^ Michael Atiyah (3 April 2014). Michael Atiyah Collected Works: Volume 7: 2002-2013. Oxford University Press. pp. 383–. ISBN 978-0-19-968926-2. ^ M. Ram Murty; V. Kumar Murty (6 October 2012). The Mathematical Legacy of Srinivasa Ramanujan. Springer Science & Business Media. pp. 156–. ISBN 978-81-322-0769-6. ^ J.S. Milne (1980). Étale cohomology. Princeton University Press. ^ Marc Levine; Fabien Morel (23 February 2007). Algebraic Cobordism. Springer Science & Business Media. p. viii. ISBN 978-3-540-36824-3. ^ Marquis, Jean-Pierre (2015). Zalta, Edward N. (ed.). The Stanford Encyclopedia of Philosophy (Winter 2015 ed.). Metaphysics Research Lab, Stanford University. ^ S. Gelfand; Yuri Manin (1988). Methods of homological algebra. Springer. ^ Ralph Krömer (25 June 2007). Tool and Object: A History and Philosophy of Category Theory. Springer Science & Business Media. pp. 158–. ISBN 978-3-7643-7524-9. ^ "Colonel Lágrimas". Restless Books. Retrieved 12 September 2017. Cartier, Pierre (2001). "A mad day's work: from Grothendieck to Connes and Kontsevich The evolution of concepts of space and symmetry" (PDF). Bulletin of the American Mathematical Society. 38 (4): 389–408. doi:10.1090/S0273-0979-01-00913-2, English translation of Cartier (1998). Cartier, Pierre (2004), "Un pays dont on ne connaîtrait que le nom (Grothendieck et les " motifs ")" (PDF), in Cartier, Pierre; Charraud, Nathalie (eds. ), Réel en mathématiques-psychanalyse et mathématiques (in French), Editions Agalma, archived from the original (PDF) on 4 March 2016, English translation: A country of which nothing is known but the name: Grothendieck and "motives" . Douroux, Philippe (8 February 2012). "Alexandre Grothendieck" (in French). Retrieved 2 April 2014. Scharlau, Winfried, Wer ist Alexander Grothendieck? : Anarchie, Mathematik, Spiritualität Three-volume biography, first volume available in English, ISBN 3842340923. Kleinert, Werner (2007). "Wer ist Alexander Grothendieck? Anarchie, Mathematik, Spiritualität. Eine Biographie. Teil 1: Anarchie" [Who is Alexander Grothendieck? Anarchy, mathematics, spirituality. A biography. Part 1: Anarchy.] (in German). Zbl 1129.01018. Wikimedia Commons has media related to Alexander Grothendieck. O'Connor, John J.; Robertson, Edmund F., "Alexander Grothendieck", MacTutor History of Mathematics archive, University of St Andrews . The origins of 'Pursuing Stacks': This is an account of how 'Pursuing Stacks' was written in response to a correspondence in English with Ronnie Brown and Tim Porter at Bangor, which continued until 1991. See also Alexander Grothendieck: some recollections. English summary of "La Clef des Songes"
"Who Is Alexander Grothendieck?, Winfried Scharlau, Notices of the AMS 55(8), 2008. "Alexander Grothendieck: A Country Known Only by Name, Pierre Cartier, Notices of the AMS 62(4), 2015. Alexandre Grothendieck 1928–2014, Part 1, Notices of the AMS 63(3), 2016.